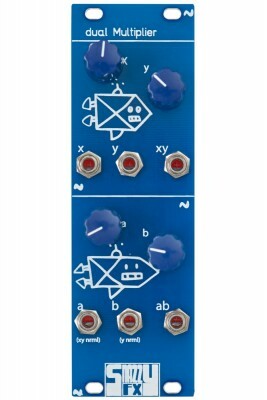 Erica Synths DIY Polivoks-inspired VCA has distinctive architecture – two differential opamp (Russian ICs K118UD1B) based VCAs in series each for LFO and ADSR control over signal amplitude independently. Control voltage to attenuation behavior of this VCA is nonlinear and not logarithmic. It is kept authentic to the response of original Polivoks. 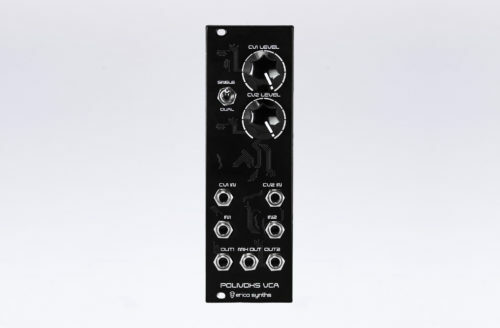 The Polivoks VCA is 35mm deep, skiff friendly, has solid mechanical construction and doesn’t require wiring. 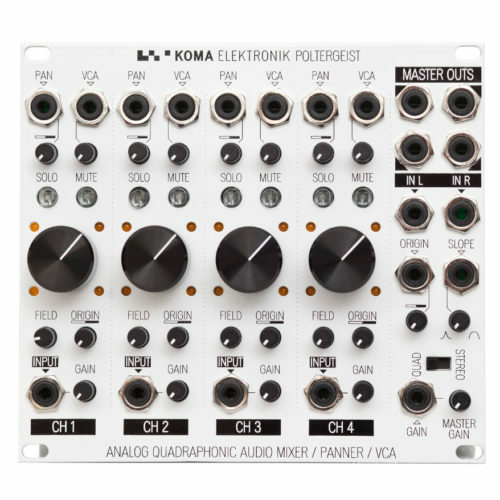 Most parts of the VCA have been improved to achieve compatibility with eurorack signal and CV standards, higher dynamic range, better reliability, lower noise, accept higher signal levels, keep consistent behaviour, self-tuning of two internal offsets and higher linearity, though the heart of it is kept the same. 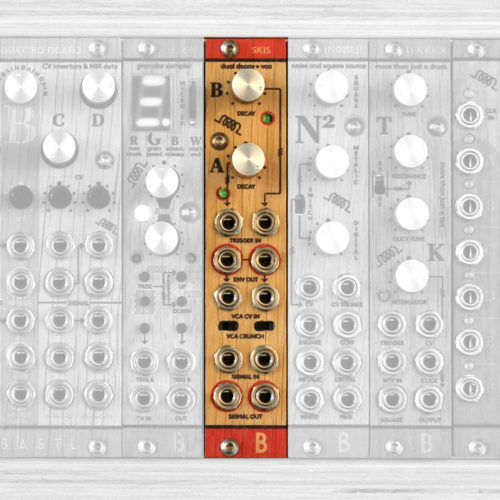 Also we redesigned audio signal path, so that you can use it as two independent VCAs or two VCAs in series as in original Polivoks, plus summed signal output.